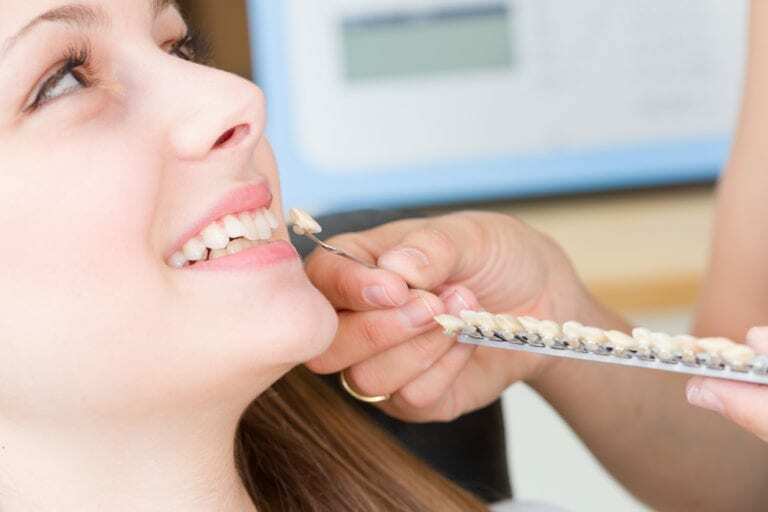 Veneers » Dentist in Sunnyvale, CA - Diane Lew, D.D.S. Am I a candidate for dental veneers or laminates in Sunnyvale, CA? Dental veneers may be right for you if you are looking for an alternative to crowns and caps. Veneers can help you if you have gaps between your teeth or teeth that are broken, chipped, irregularly shaped or misaligned. To find out more about whether dental veneers are right for you, contact your cosmetic dentist, Dr. Diane Lew, to schedule a consultation. Before dental veneers can be placed on the teeth, the surface of the teeth must be prepared for bonding. After administering a local anesthetic, Dr. Lew will buff away approximately half a millimeter from the surface of the teeth. You’ll then bite into a mold that will be used to form your veneers in a dental lab. When the veneers are ready, you’ll be asked to return to have them fitted, bonded and adjusted for shape and color.